I have had no luck growing celery from seed that I planted, and resorted to buying seedlings, however, celery that then went to seed seems to have now produced more celery seedlings. I still don't know how to get celery seeds to germinate, so if you're new to gardening I recommend buying seedlings to avoid disappointment. Celery needs plenty of moisture and I have observed that it will not grow well when we get very hot and dry conditions. It does grow through winter here though (surviving light frosts) and thrives any time we have warm and wet conditions. If you keep it growing long enough it will eventually go to seed and die off, however it seems to keep growing for several months, nearly a year, in my garden. Traditionally celery is "blanched" by mounding up or putting covers over the stalks to blanch them white. Personally I can't be bothered with this and I like the flavour of green stalks, so I just let my celery grow free. I don't harvest entire plants, rather just picking a few stalks as I need them. Celery is a surprisingly versatile and useful vegetable. It is a key ingredient for homemade stock, many soups, a component of a mirepoix casserole base, a vege to add to the evening meal or just a crunchy fresh vege to dip into something tasty. I generally chop off the leaves and put them in a bag in the freezer for my next batch of stock. And then depending on how I want to use the stalks, I'll chop them too. 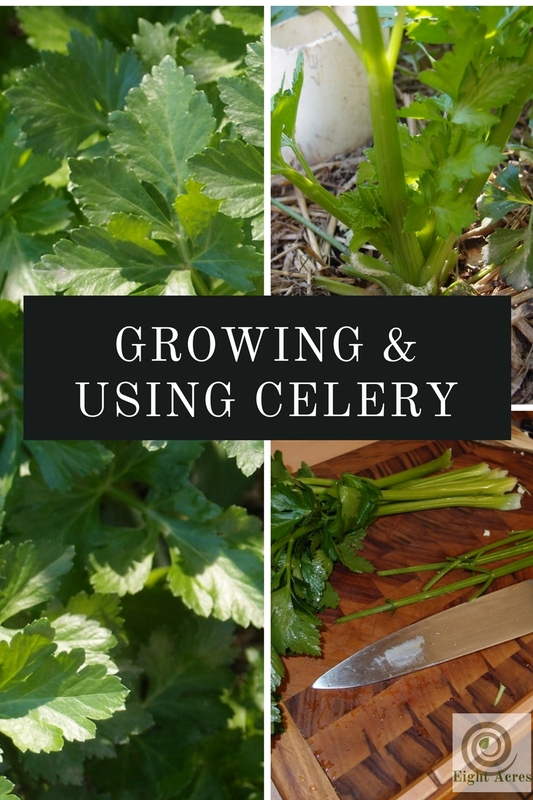 Do you grow celery? How do you use it?